Barr. 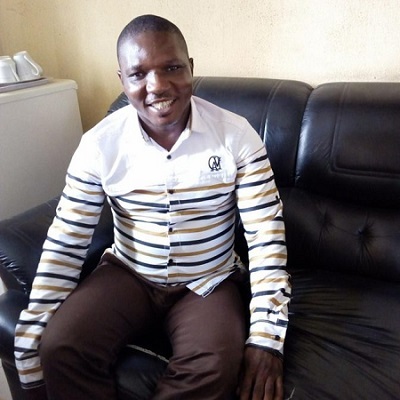 Joseph Odok, a Lecturer in the department of Philosophy, University of Calabar (UNICAL) has been suspended again few months after his suspension over an alleged incitement of the public against the University was lifted, CalabarReporters has gathered. The suspension was conveyed in a letter signed by the University’s Registrar, Moses Abang and dated January 19, 2018. He was reportedly suspended over his posts on social media where he allegedly made some “wild allegations” against the Vice Chancellor. 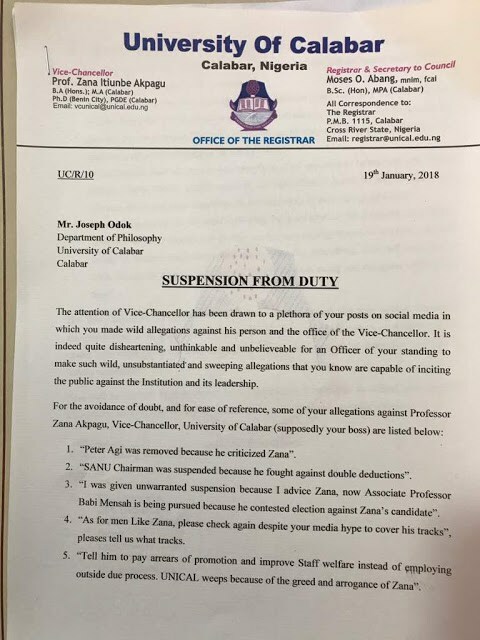 According to reports, Odok has made series of allegations against the Vice Chancellor, VC, Prof. Zana Akpagu including describing him as an “arrogant and greedy” administrator. In one of his posts, he alleged that the University lost accreditation in Law but the VC deceived prospective candidates to apply and he is now “running helte-skelter to JAMB to bribe them”. He also accused the VC of sacking people who criticise him while recruiting people without following due process amongst others. The University has however, come out to deny all the allegations while advising the public to disregard the information being peddled by Odok against the leadership of the institution. According to Odok’s suspension letter, the University regretted that it is “quite disheartening, unthinkable and unbelievable” for an officer of Odok’s ranking to make such “wild, unsubstantiated and sweeping allegations” capable of inciting the public against the institution and its leadership. 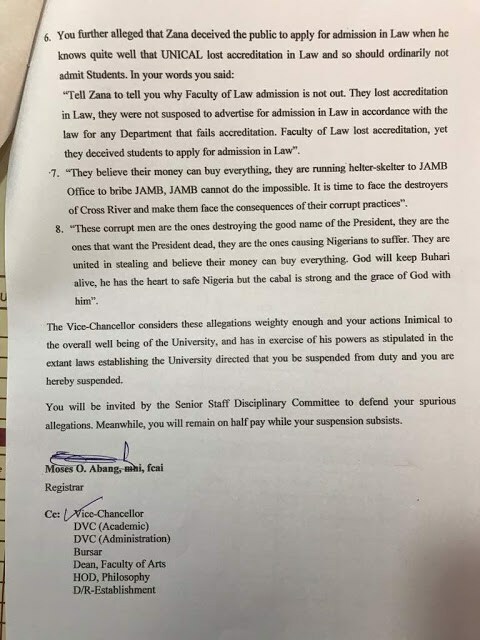 The letter however added that Odok will be invited by the Senior Staff Disciplinary Committee to defend his “spurious” allegations against the Vice Chancellor and the University.